I had been involved with a small Bible study group that turned out to be a cult remarkably similar to the Branch Davidians of Waco, Texas, led by David Koresh. My book is a collection of transcripts and letters written before, during, and after God delivered me from my enemy, and will show how I came to be in such a dangerous and vulnerable situation. The targets of such groups are innocent, unsuspecting people who are searching for love, acceptance, and a deeper meaning to this life. Cults are on the rise, and no one is exempt from their evil influences, which is why it is so important to know the truth about them. My purpose in sharing my story is so that others may gain a better understanding of this “war” that we are in. When I got out of that cult, I just had to warn people about what I had been through. I have never aspired to be an author, but I am certain that God wanted me to tell my story. God is truly my greatest inspiration and it is only because of Him that I am even able to share my testimony. My book, Walking with the Enemy (now in its 5th edition), which I call the Victory Edition, has been over twenty years in the making. This edition is a much sharper and more concise version of my testimony, and remains true to the original. For this final edition, I hired a professional design team (TLC Graphics) to help polish it up and get it ready for production. The first chapter of my book is a letter that I wrote and sent out to many individual Christians, and various churches, with the hope of warning them about the leaders of the cult group that I had been with for three years. However, at the time, I had no idea that I would publish that letter, along with many other letters and transcripts, but God did. I was delivered from that cult group on February 28, 1993, and I published my first edition of Walking with the Enemy two years later. After all these years, I still have a burning desire to warn about false teachers who are dressed “in sheep’s clothing, but inwardly they are ravening wolves.” The deception I was in could happen to anyone, anywhere in the world. In fact, it is going on at an alarming rate! The only consolation, God warns about it in the Holy Scriptures. Well, I really do not have a typical day, but depending on what I need to accomplish for that day, will determine what I do. However, normally I get up early, have some coffee, read my Bible, check my email, see about housework, and various other responsibilities, such as taking care of my teen-aged boys that I home-school, and watching my grandchildren on occasion. My adult children and my husband, who is a retired combat veteran, are also a major part of my life. I am currently in the marketing mode, so I am always looking for ways to promote my book. I plan to target the military market after listening to one of NFAA’s seminars online, and I really appreciate that you make past seminars available for those who miss the date it was recorded. Actually, I feel the military would be a perfect fit, because while my husband was stationed at a Wounded Warrior Battalion for a year, I was able to be with him for most of the time, so I brought my books (fourth edition), and set up a table in the PX. Most everyone I talked to was very interested in my story, and I easily sold or gave away more than six cases of books in a short time. Writing what God puts on my heart is one of the most joyful and gratifying things that I do. I have been giving my book away for over 21 years now, and it brings me great pleasure to do so. I will continue to share my testimony with others as long as I am able, and if God ever wants to have my book more widely distributed, I am sure He will make it happen in His time. The Holy Bible is the most important book in my life, and it is such a blessing to read it. It is food and drink for my soul, and I really cannot do without it! God is truly my greatest inspiration, and I am very grateful to Him for my dear husband and the beautiful family He has so graciously given to us; and especially for sending our last two little ones—the Lord knew we needed them to make our family complete! There so many people along the way who have helped or encouraged me in this awesome endeavor of writing and publishing my testimony of Walking With the Enemy. God knows who they are, and I pray that His love, mercy, and grace will always be with them! 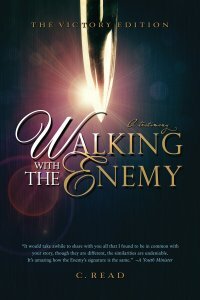 “Walking with the Enemy is Read’s story of a three-year engagement with a religious cult and the miraculous event that gave her the courage to escape. “Read offers her personal tale of religious awakening, including her experiences with people whom she says were falsely serving Jesus Christ…. I was a Sergeant in the United States Marine Corps. I met my husband, who was also a Marine, while I was stationed in Hawaii for three years. I would like to re-edit and publish my second book, Walking in the True Light: A Testimony, which was published on September 5, 1997, one year after I heard about the “revival” that took place in Pensacola, Florida on Father’s Day 1995. I learned of this so-called “move of God,” after listening to an interview of a Christian pastor who told about his experience when he attended the church where the Pensacola Revival was happening. This pastor greatly encouraged people to come to the revival, but he was also promoting a women in ministry conference at his church. God led me to attend that conference, and when I saw what was happening at the services, it was somewhat reminiscent of what took place at the Bible study/cult group that I had been involved with, but much stranger and on a wider scale! 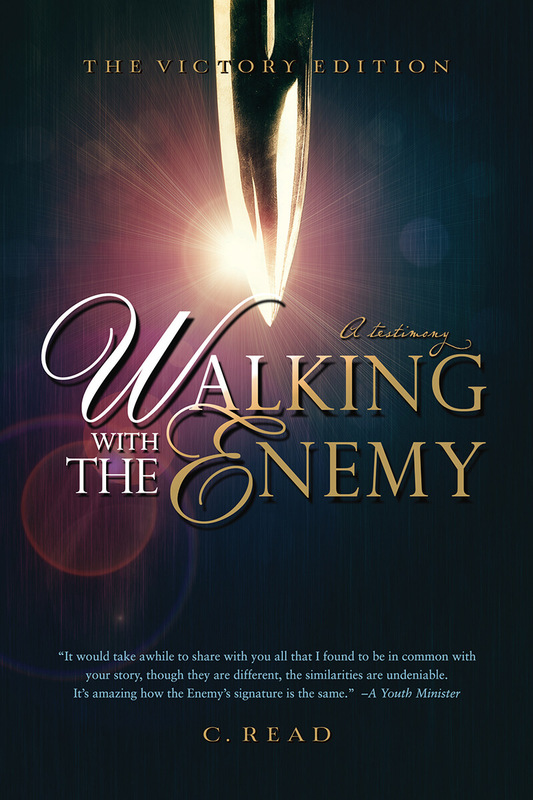 I am very happy to mention that Walking With the Enemy: A Testimony (Victory Edition) received a Silver award in the Nonfiction Book Awards competition in July 2016, and also received a Silver award from the Mom’s Choice Awards in August 2015. I really appreciate the vote of confidence I received from both of these organizations, and others along the way! Finally, I would like to say that I am eternally grateful to the Holy One of Israel, for His beloved servants that He has put in my path, and for those I am yet to meet!